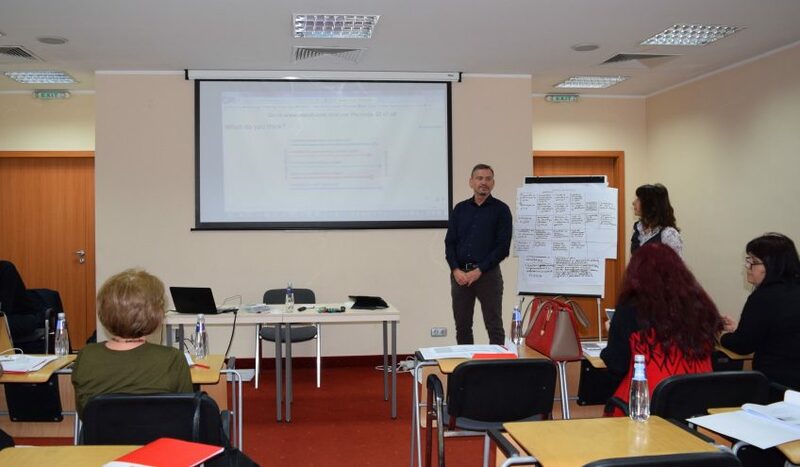 From 13 to 15 November, the DOMINO Project organized a training for Bulgarian experts – members of the working group for the exams in the dual education system. 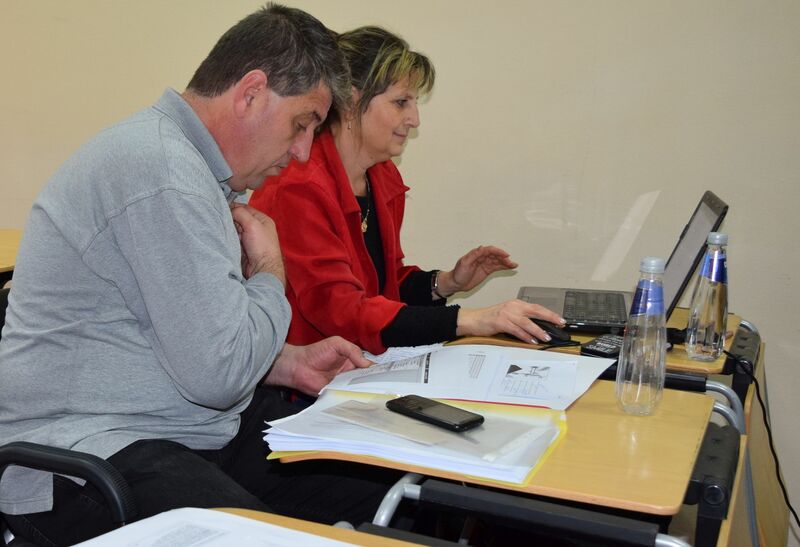 The training was led by two experts of the Swiss Federal Institute for Vocational Education and Training (SFIVET), one of the project’s partners. 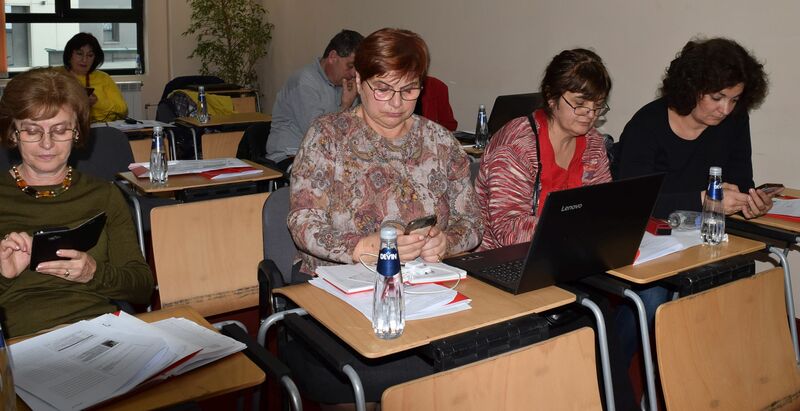 The specific examples on the preparation, organization and execution of the exams in dual education were very useful, says Tsvetelina Stoykova, Principal of the Vocational School for Mechanoelectrotechnics – Pleven. She also appreciates the discussions about the introduction in Bulgaria of the option students with extended skills and achievements to apply for the highest degree at exams. Valentina Georgieva from the Vocational School in Mechano-electrotechnics “N. Y. Vaptsarov”- Sofia finds as very useful the Swiss experience in organizing the exams and the procedures to be followed. Regarding Bulgaria the theory exams are well organized and executed, while the practice exams require further fine tuning and therefore, the Swiss experience was well-received. In general, dual education in Bulgaria is working very well, but a larger commitment from the business is needed, says Valentina Georgieva. This opinion is shared by Thomas Meier from the Swiss Federal Institute for Vocational Education and Training (SFIVET), one of the trainers. 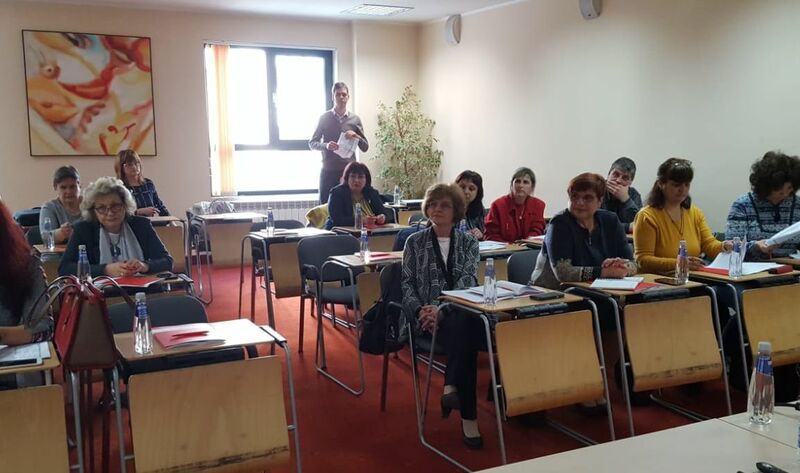 The next and important step for the development of Bulgarian dual education would be the involvement of the professional business associations, says he. Compared to Switzerland the system here is very oriented to teachers and schools. And if you are oriented to teachers and schools, you have the tendency to teach and to focus too much on the theoretical knowledge and this not the main goal of the VET programme. The VET programme has to be rather practical than theoretical and therefore, when you involve the professional associations, this automatically brings changes and more practical orientation of the whole system. In VET we need so much theory as we apply for the understanding of work processes and for the execution of professional actions, says the Swiss expert. The participation of the Swiss companies in dual education is a matter of an image, confirms Thomas Meier. The Swiss companies in the VET system are in also in a close circle of innovations. They have more profit from the novelties and exchange of new knowledge even better. Being also very close to the labour market and its fluctuations and new demands, as they can have an impact of labour market developments, says the Swiss expert. Scientific studies of SFIVET show that host companies profit swiftly of their apprentices; especially in an economical way. In March 2019, the DOMINO project plans a next training on the exams in the dual education system.